Measurement data processing in the wastewater industry. Software with adjusted functions for the wastewater industry. Functions: documentation of measurement places, graphs and table views, creation of statistics/reports etc. Measurement data and station information: Recording, administrating, analyzing. The environmental data management system, the Hydrographical Information System, the database system for administrating and evaluating environmental data. By Simutech based in Vienna, AUSTRIA. LuciadLightspeed is widely recognized as the leading set of high-performance geospatial software components. Major international companies and organizations, Systems Integrators and Original Equipment Manufacturers use LuciadLightspeed to rapidly develop geospatial situational awareness applications for mission-critical operations. Aquifer Heterogeneity and Anisotropy: Confined, unconfined, and hybrid confined/unconfined domains. Confined interface, and unconfined interface aquifers for fresh/salt interfaces. Anisotropy in the horizontal may very in ratio and direction from one domain to the next. By Fitts Geosolutions, LLC based in Scarborough, MAINE (USA). 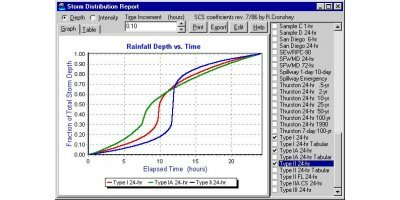 HydroCAD Stormwater Modeling is a Computer Aided Design tool used by Civil Engineers for modeling stormwater runoff. 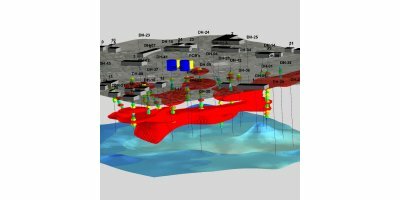 HydroCAD is ideal for studies using the TR-20, TR-55, or SBUH methods. 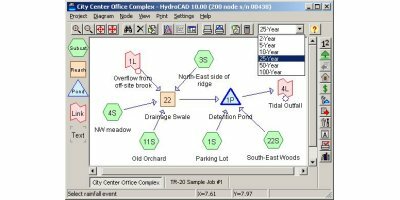 HydroCAD provides a wide range of standard H&H techniques in an easy-to-use graphical form, managed by the on-screen routing diagram we pioneered in 1986. By HydroCAD Software Solutions LLC based in Chocorua, NEW HAMPSHIRE (USA). The hydrologic model floodFILL is an easy-to-use system for calculation the spatial and temporal extent of an inundation in a floodplain. By IVU Umwelt GmbH based in Freiburg, GERMANY. By GIS\Solutions Inc. based in Grizzly Flats, CALIFORNIA (USA). By ScanEx based in Moscow Region, RUSSIA. By Eye4Software B.V. based in Enschede, NETHERLANDS. HydroCAD-9.0 adds a wide range of new reports, calculations, and operating features. By Scientific Software Group / Global Enviro Software based in Salt Lake City, UTAH (USA). By Hydrau-Tech, Inc. based in Fort Collins, COLORADO (USA). TerraBase features a seamless interface with ArcView GIS. Data that would normally be a simple spreadsheet or report is automatically displayed on a map to show features such as 2D and 3D contours, subsurface detail and a whole lot more. By TerraBase Inc. based in Cresco, PENNSYLVANIA (USA). New Node Comparison Report provides a graphical comparison of two or more nodes. Just select the nodes and click the 'Compare' button on the toolbar. You can even compare nodes in different HydroCAD files, allowing easy comparisons of existing and proposed conditions. By Centre for Ecology & Hydrology based in Wallingford, Oxfordshire, UNITED KINGDOM. SurveyLog is a Windows program for use with the Valeport MIDAS Surveyor GPS Echosounder. Although the program was originally written in a Windows XP environment, it has been tested on all Windows operating systems from 98SE up to and including Vista.